ConnectIt-Workflow QuoteWerks Document Open Utility allows the QuoteWerks user to perform advanced searches of the QuoteWerks Documents database. The utility not only allows the QuoteWerks user to search the usual Document Header fields, but also Document Item fields. 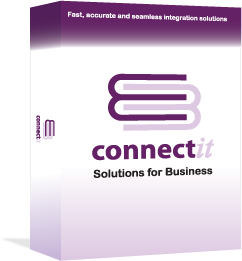 The ConnectIt-Workflow QuoteWerks Document Open Utility is highly configurable, allowing the individual QuoteWerks user to specify their own set of fields and filter types to search Documents, plus personalise the grid view of the results when the search is complete. Helps find QuoteWerks documents quickly and easily using any field and a variety or search criteria. Allows searches of QuoteWerks documents by the Products and Services that were quoted on the document. Display the results from the search with fields that are relevant to you and with information to how you enter it into QuoteWerks. Allows configuration of which Document Header and/or Document Item fields to search the QuoteWerks database on by individual user. Allows selection of various search criteria - field ‘contains’, ‘begins with’, ‘equals’, etc. Allows configuration of the results grid columns by individual user.